Palm Springs offers old world charm along with modern, innovative architecture. Stunning resort style amenities are bountiful, while heavenly mountain views complement a very relaxed lifestyle and a great quality of life. Drink it in…Love It. You will find Frankie & Leslie very accommodating when it comes to showing you around the valley. The best restaurants, local festivals and an eclectic music scene is something they pride themselves in knowing. Hit them up, they’ll be happy to be your guide to the wonderful experiences that make desert living so rich and desirable. 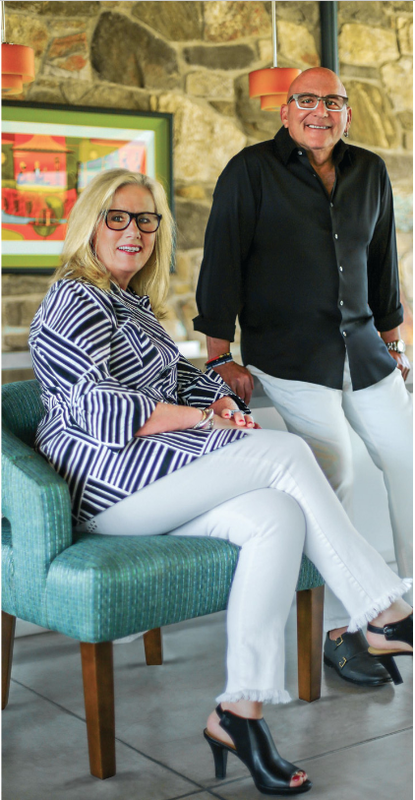 Frankie & Leslie were recently featured in “Power Players of Palm Springs” in the November, 2018 issue of Angeleno Magazine!